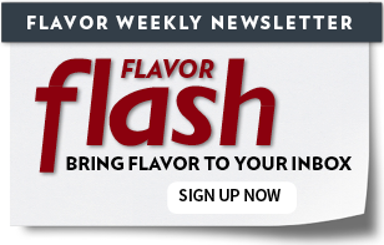 Global bar bites, Instagram hits, mac & cheese, smoke, Lent lessons, trending sauces and cereal. Yes. Cereal. Interested in receiving our print magazine six times a year? Would you like to receive food and menu trend updates and recipes straight to your inbox? The recent Mise Conference presented valuable and relevant content and showcased a number of creative and memorable food and beverage items that translate to on-trend opportunities. Here are four flavor-forward takeaways from the event. Mac and cheese serves up a great platform for innovation. More sides and shareables, cast-iron serving pans, bite-sized balls, unique add-ins, and longer noodles are also becoming the norm among trend-forward menus. Doing something different—and doing it well—is key to transforming mac and cheese from a stalwart side into a buzz-worthy bite. Milk Bar in New York started the cereal milk craze a few years back. Now, operators are maximizing the emotional tie most diners have to cereal, then upping the game by featuring both the cereal milk and cereal in pancakes, cocktails, desserts and more. Today, the snacking category is huge, and the bar bite category continues to deliver a world of flavor-forward, fun choices. Candied bacon, meatballs, tots, veg-centric dishes like Crispy Squash Blossoms are all on the menu. What better springboard for seafood innovation than Lent? Seafood consumption up, and there’s a general uptick in excitement around seafood. The pathway to success follows two strategies that walk hand-in-hand today: flavor and sustainability. 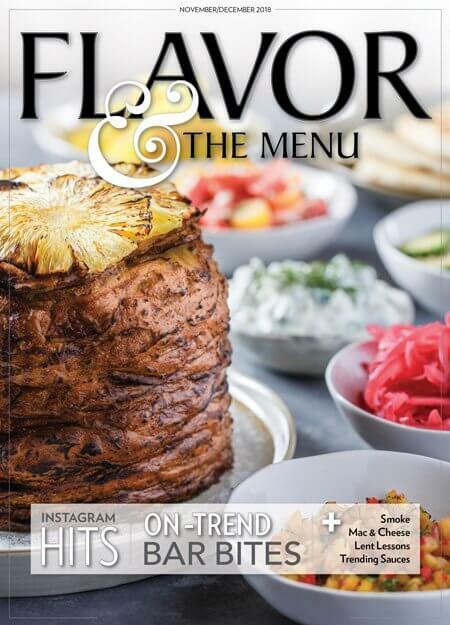 Instagrammability is becoming part of menu strategy today, particularly when trying to woo younger consumers. It’s not enough to make plate presentation appetizing. Gorgeous colors, interactivity, unexpected flourishes, tableside drama—all make the dining consumer click and share. Here are 12 ways to shine on Instagram, garnering that social-media love. At Modern Market - a fast casual based in Denver that serves farm-fresh, artisan food, including wholesome grain bowls, modern salads and toasted sandwiches - director of culinary operations Nate Weir talks about how he worked to source exactly the right salmon, then showcased it in a Curried Salmon Bowl LTO, before developing a Salmon Caesar Salad that quickly became the No. 2 seller in the overall menu mix. There’s a precision to the global mash-up at Nahita in Boston, where the pantry pulls strategically from Peru, Japan, Mexico and Turkey, staying true to authentic ingredients while combining them in new and intriguing ways. How Barton Seaver draws inspiration from Portugal when building his fish menu offerings. These Savory Rice Waffles are an innovative, gluten-free offering that appeals to a wide range of diners. Eggs are whisked together with cooked U.S. long-grain rice, savory turkey sausage, spinach, cheddar, cremini mushrooms and sun-dried tomatoes. The mixture is seared in a waffle iron to a crispy golden brown and served with a maple-sambal sauce. To identify what is being done to drive appeal and sales of cocktails at trend-forward concepts, Southern Glazer’s Wine & Spirits set out on its second-annual fact-finding tour. The standout discovery this year is the creative and sophisticated use of high-impact ingredients that introduce unique profiles to classic cocktails. Based on our research, here are four key opportunities in the cocktail category. This vibrant Blueberry Breakfast Smoothie Bowl is a blend of blueberries, Greek yogurt, banana, almond milk and honey. Topped with banana, peaches, granola, chia seeds, almonds and toasted coconut, this complete breakfast features a rich variation of textures. Idaho hash brown potatoes form a crisp, crunchy packet for tomatoes, corn and queso fresco. A fried egg and dollop of chimichurri complete the dish. This summery mix can morph into heartier combinations, such as grilled steak, pepper, onions and provolone. Hearty and satiating, they can be used as a base for chicharrones con huevos or topped with roasted cherry tomatoes, black beans, Oaxacan cheese, juicy skirt steak and a fried egg for a loaded nacho-style steak and eggs. Easily rendered gluten-free and inherently keto-friendly, these Avocado Chicharrones have great potential, from breakfast menus to late-night shareables. Warm tortillas, baked salmon and soft-scrambled eggs join forces. Rubbed with chile powder and topped with lemon slices before baking, this wild Alaska salmon fillet brings a warm flavor profile to the dish that complements the eggs perfectly.